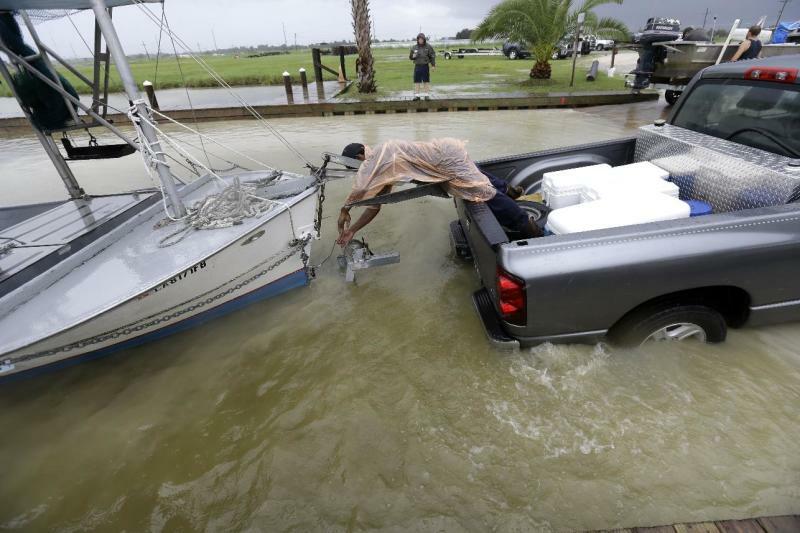 On Friday, Alabama joined Louisiana, Mississippi and Florida in declaring a state of emergency as officials and residents prepared for Karen, expected to near the central Gulf Coast on Saturday as a weak hurricane or tropical storm. The Federal Emergency Management Agency and Interior Department recalled workers, furloughed because of the government shut down, to deal with the storm and help state and local agencies. Karen would be the second named storm of a quiet hurricane season to make landfall in the U.S. — the first since Tropical Storm Andrea hit Florida in June. Along with strong winds, the storm was forecast to produce rainfall of 1 to 3 inches through Monday night. Isolated rain totals of up to 6 inches were possible. Late Friday, the National Hurricane Center in Miami reported that Karen was losing strength, with maximum sustained winds that had dropped to 45 mph (72 kph). Karen was located about 205 miles (330 kilometers) south-southwest of the mouth of the Mississippi River and was on the move again, heading north-northwest at 7 mph (11 kph). Forecast tracks showed the storm possibly crossing the southeast Louisiana coast before veering eastward toward south Alabama and the Florida Panhandle. But forecasters cautioned that the track was uncertain. "We are confident on a northeastward turn. Just not exactly sure where or when that turn will occur," Rick Knabb, director of the National Hurricane Center in Miami, said earlier Friday. Conditions were not ripe for the storm's strengthening. A hurricane watch was dropped Friday afternoon. A tropical storm watch covered the New Orleans area as well as the area from east of the mouth of the Pearl River to Indian Pass, Fla. A tropical storm warning was in effect from Morgan City, La., to the mouth of the Pearl.